It’s that time of year again, when the world celebrates Christmas, New Year, Thanksgiving and other holidays. 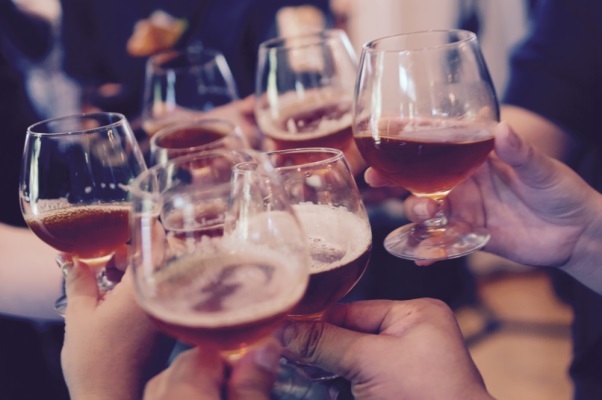 I don’t want to be a wet blanket during the celebrations here, but I’ve been asked to write about drinking during the festive season – I hope you find this helpful. Just skip it if it’s too close to the bone. Alcohol and sugar are like terrible twins, together they wreak havoc in our bodies, they especially put enormous strain on the liver, which hampers the body’s ability to function optimally. In particular they impair what is known as the ‘methylation cycle’. B12 (as methylcobalamin) together with methyl-folate (not folic acid) work with homocysteine to produce methionine – an amino acid – which is then converted to S-adenosylmethionine or SAM. SAM is needed for a number of functions such as energy, mood, focus, production of glutathione, sleep etc. When you take in sugar and/or alcohol, the message to make SAM is interrupted as alcohol blocks the specific enzymes needed during methylation, and sugar causes an inflammatory cascade – and taken together, this is very hard on the liver impairing methylation, causing liver stress. SAM is there to protect the liver from damaging substances like alcohol. Glutathione is our most important anti-oxidant and liver protector – without which damage will occur – and is completely used up by alcohol, causing oxidative stress. The kicker is that because alcohol has blocked the creation of SAM, glutathione cannot be replenished. This is important because SAM is there to block the inflammatory process alcohol causes and a vicious cycle ensues. The other thing SAM does is produce choline, which is a component of bile. Bile is made in the liver with the purpose of transporting toxins from the liver safely out via the digestive system. Deficiency in the B vitamins can manifest quite soon with regular alcohol consumption, and ultimately even cirrhosis, which is permanent liver damage, can develop. Scarily – the risk for cirrhosis starting with fatty liver is set at as little as two alcoholic drinks a day. Quite apart from that, regular excess leads to alcohol-induced leaky gut and insulin resistance. So you have your test results, and you’re not happy, what can you do? Take time to recover – if you know you will be having sugar and alcohol, you absolutely have to have 4+ days between episodes to allow the liver to recover. What can you drink then? It’s best to water down a glass of wine with ice, or to avoid the alcohol altogether if you can. We know that probably won’t happen, but where you can, have a glass of sparkling water, or make that glass of wine last you all evening. Never drink on an empty stomach, make sure there is some protein and fat to line the stomach first. Although there are dozens of tips here (see my books and courses – they have plenty on this subject), the sensible thing to do is not to overdo it, no matter what. Go easy, avoid where possible and if you do enjoy a drink try to stop at one. Give your body a few days to recover between drinks. Drinking is a social activity, yet more than a third of young people in the UK are now choosing not to drink alcohol for health reasons. Just one last tip – don’t replace alcohol for sugary drinks – they are virtually one and the same where your liver is concerned. It doesn’t know the difference. A great idea is sparkling water with lemon. Sounds boring but imagine how much better you’ll feel in the morning! Cheers!